Going often to a dentist, better if regularly, significantly raises your chances of detecting early signs of oral cancer, as well as helps keep your oral/dental health in shape. The American Academy of General Dentistry is quite agreed on this statement that every person should go regularly to their dentist in order to decrease the chances of catching a life-threatening disease like oral cancer. In this narrative, we will be enlightened about some of the main points as preventive measures against oral cancer and the role of a dentist in eliminating this dangerous ailment, as described by the expert dentist in Los Angeles Dr. Shervin Louie. According to Dr. Louie’s recommended guidelines, a person, if cannot go regularly or once a month, he/she should at least visit their dentist once in a six-month period. Not following the least in this routine can expose you to severe danger of oral cancer as well as other teeth/gum diseases. You see, a dentist employs an oral cancer screening examination on your teeth which is crucial for checking on cancer symptoms in your mouth, the earliest ones. Remember, a disease like the intensity of cancer can be best treated, and have higher chances of elimination if only it could be located and traced as early as possible. “In the case of oral cancer, only a dentist can be able to find out with enough evidence to declare an emergency. So, it is best in your sake to go to a dentist as often as you can for checkups, especially oral cancer screening test,” says Dr. Shervin Louie, a well-known dentist in Los Angeles. The dental examination, such as one carried out in Dr. Louie’s Los Angeles dental clinic, investigates abnormal tissue changes or lumps in your cheeks, head, oral cavity, neck and the soft tissues in your mouth. 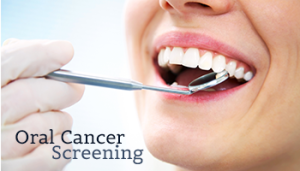 These screenings will notice any discolored tissues or particular looking sores as they all are the first represents of cancers in your mouth. A dentist’s technique is the most robust in locating these signs at their early stages so that if you go to your dentist regularly, chances are higher that you can be saved in time from this horrendous ailment. Dentists in Los Angeles, such as Dr. Shervin Louie, states the main reason in the United States for the cases of oral cancer death, which is up to 30, 000 each year, is that people avoid going to a dentist for a checkup. This laziness will, in fact, can prove very costly for your health and ultimately your life so a little bit of responsibility can put you completely out of the hazard’s way. 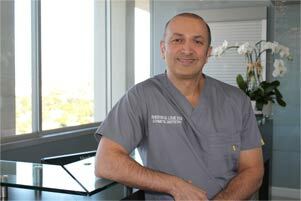 “Cancer, if not diagnosed in time at the early stages; even in our advanced nation, could prove a fatal blow,” says Dr. Shervin Louie of Aesthetic and Implant Dentistry in Los Angeles. Cancer is, unfortunately, one of those diseases which, if progressed to an advanced stage, may either result in loss of the affected functionality forever or an ultimate death. Therefore, a timely examination and possible treatment measures at the earliest stages may avoid you great troubles later on.